From the famous Kruger National Park to the majestic Drakensburg Mountains and south to Cape Town, South Africa is truly a world in one country! Some of the finest private game reserves are to be found here - Sabi Sand, Timbavati, Tswalu, Madikwe, Grootbos, Bushman's Kloof and many more in the Limpopo Province, Mapumalanga, and both the Eastern and Western Cape...each boasting some of the finest safari lodge accommodation in Africa. South Africa is also the international hub for many airlines into southern Africa, and of all the countries in Africa, it offers the most developed tourism infrastructure including fabulous restaurants, a plethora of accommodation options, and good road, rail and air links throughout the country. For the visitor looking for a great safari, South Africa has much to offer. Cape Town, the mother city of South Africa, nestles in one of the most dramatic scenic settings of any city on earth. It is cradled by the imposing bulk of Table Mountain (rising 1086 metes above the bay), and Devil's Peak and Lion's Head. The exceptional natural beauty of Cape Town endures in its mountains, its varied and spectacular coastlines, its rich flora and in much of its historic architecture. Table Mountain, unquestionably one of the world's most famous landmarks, has been declared a national park. With its flat summit nearly 3km long, it is home to some 2285 plant species, many of which are found nowhere else on earth. A dazzling variety of wild flowers bloom on the mountain, including Disa, a species of orchid known as the "Pride of Table Mountain". It is also the natural home of the Shimmering Silver Tree. The Winelands of the Cape too are quite spectacular - stretching from Tulbagh in the west, to Montagu in the east, the 15 easily accessible towns within this renown wine growing region all offer a unique combination of architectural heritage, museums, galleries, majestic mountains, scenic passes, vineyards and orchards and an ever-changing kaleidoscope of panoramic landscapes - not to forget old-world charm and hospitality. The Drakensberg, aptly named by the first Dutch settlers and meaning "The Dragon Mountains", is the largest mountain range in South Africa extending some 960km from the Transvaal to the Eastern Cape. The central section is the most prominent at an average height of 3 000m and has awe-inspiring, rugged mountain scenery - the Zulu name being uKhahlamba (barrier of spears). Open grassland dominate the vegetation. The lower reaches have beautiful areas of protea savannah and natural forest while the upper reaches are covered by hardy heath and woody shrubs. The Drakensberg has now been declared a World Heritage Site as it is the ancestral home of the San or Bushmen people. It is now the world's largest open air gallery with some 600 sites boasting more than 35000 Bushman paintings. The Drakensberg is also a hikers paradise, with the Tugela Falls and the Amphitheatre among the many stunning places to see. The Sani Pass to the Roof of Africa is an unforgettable experience. But it is the stunning scenic beauty that draws most attention, with sweeping views and running streams this is one of South Africa's most attractive landscapes. The Kruger National Park is South Africa's largest and most visited of the countries public parks. Large camps have been established to cater for the sheer number of South African visitors it receives. These visitors drive from all over the country, and especially from the urban areas of Johannesburg and Pretoria , to bask in the splendour of this wonderful wildlife sanctuary. Consequently, the majority of the accommodation available is self-catering and self drive. Visitors are not permitted to leave their vehicles unless at designated picnic sites, most roads are sealed and all camps are bounded by fences. For the international visitor we highly recommend the many private game reserves that have grown up alongside Kruger NP - namely Sabi Sand, Timbavati, Manyeleti, Thornybush and many more. An extraordinarily high standard of accommodation is available on these private reserves and the game-viewing is quite exceptional. In fact, in recent times the park authorities have removed a large section of the game fence that forms the boundary of the NP so that the animals may move freely between the Park and the adjoining reserves. 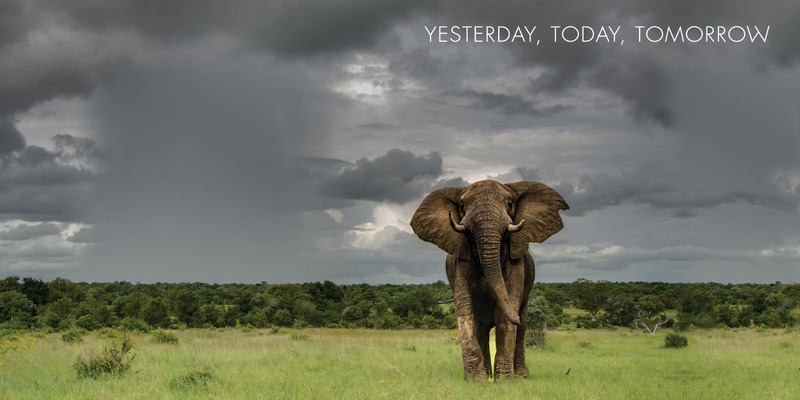 This is significant progress for the conservation of wildlife in South Africa and the tourism industry as a whole. These private reserves offer extremely luxurious accommodations and provide expert guides to introduce the many wonders of Africa to its guests. 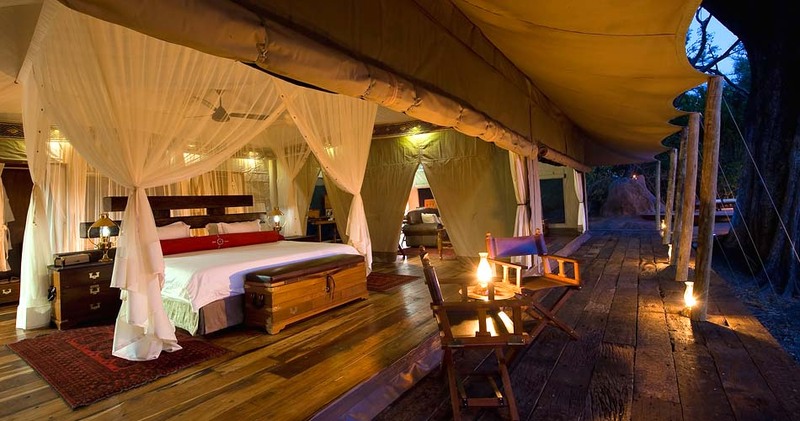 In recent years, the Park authorities have further allocated certain concession areas, within the Park, for use by private safari operators and this has lead to a similar high standard of safari camp now available within the boundary of the Park but within an exclusive access/concession area. In the north eastern corner of South Africa lies an area of immense natural and cultural diversity that include Kosi Bay, St Lucia Wetland Park, Sodwana Bay, Lake Sibyaya and Phinda Resource Reserve. With coastal reserves, forest retreats, fresh and salt-water lakes in close proximity to the sea this region is a haven for birds, animals and marine life. Its natural splendour is truly striking, and its biodiversity extraordinary. So closely have the local inhabitants, the Thonga, lived in harmony with the area and its natural resources that this land is recognised as synonymous with African spiritual life, and has become a centre for sangoma (witchdoctor) training! South Africa's Garden Route is an aptly named region of infinite diversity and contrast - from golden beaches and rocky shorelines to mountain forests and scenic vistas - all displaying an overwhelming natural beauty. Blessed with a mild (temperate) climate the Garden Route is home to a vast array of exciting activities from whale-watching to exploring historical sites. From the time of its first discovery by man, this coastal terrace from Mossel Bay to Storms River with its necklace of bays, beaches, cliffs and rocky capes strung together along a line of pounding white surf and with its profusion of wild flowers, has delighted visitors. Stretching for 177 km between the mountains and the sea, the high forest of the Garden Route is one of South Africa's richest botanical treasures. More than 80 kinds of trees grow here. Elephant, leopard, monkey and many birds have their homes in the forest's depths. For all its marvels, South Africa has always been short of rain and the regions where forests flourish are few, thus making the Garden Route all the more ecologically precious. The Tsitsikamma National Park, a high rainfall area, stretches for 113 kilometre along the coast and it is crossed by many rivers and streams. It has a wild and unspoiled stretch of rocky coast. The coastal scenery includes wild flowers, birds and other wild life. In the forest there are several massive trees - the tallest being 36 metres - some of which are reputedly a thousand years old. Rare birds such as the Knysna Loerie and the shy Narina Trogon may be spotted by the lucky visitor. Much of the Garden Route is overlooked by the majestic Outeniqua Mountains named after the Hottentot tribe of that name. Outeniqua was said to mean "a man laden with honey" referring to the profuse wild flowers which attract many bees. The interior is reached via a number of scenic passes across impressive mountain ranges. Madikwe Game Reserve encompases 75,000 hectares of BIG FIVE territory in the far north west of South Africa (bordering Botswana). You can also expect to see Wild Dog, both Black and White Rhino, extensive plains game, including Sable, Gemsbok, Springbok and Giraffe, as well as over 340 species of birds. Malaria free with easy access from Johannesburg and Pretoria. South Africa has some of the finest wildlife sanctuaries in Africa, with the number of private game reserves increasing each year to complement the major National Parks. It is a well developed country by African standards with a stong and vibrant economy that boasts all the modern trappings. Cape Town and the Drakensburg mountains are stunning, with the east coast being quite developed although the Garden Route and the Wild Coast are attractive tourist destinations. 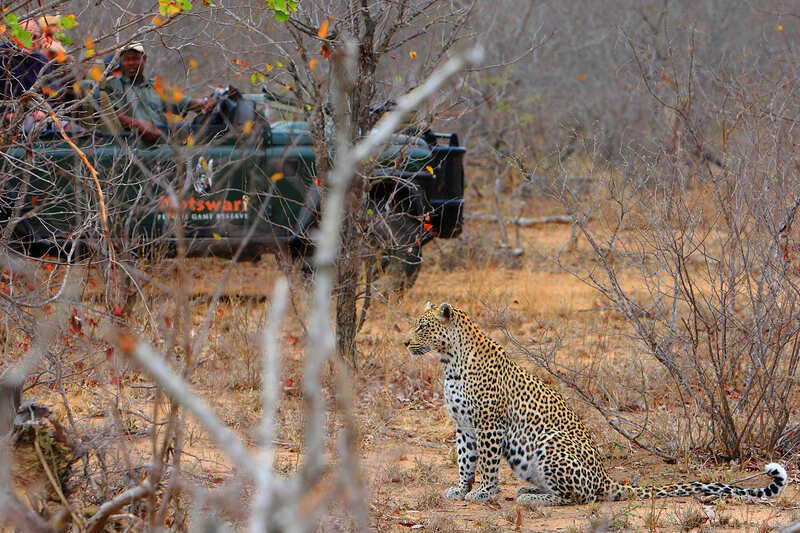 The Greater Kruger National Park is the gem in the crown with some of the finest wildlife viewing anywhere! Most safari destinations in South Africa are serviced by scheduled flights with short vehicle transfers to your lodge or safari camp. Self-drive is also an option as the roads are excellent and finding your way around relatively easy. South Africa does not really offer 'traditional' mobile tented safaris although tours by road are easily arranged (or self-drive) or we can book you on a more budget 'overland' camping tour with a reliable tour operators with whom we maintain a strong relationship. South Africa, with its many National Parks and private game reserves, is a haven for a family safari/holiday including wonderful 'bush and beach' combinations. Ask for details..
Horse-riding is offered at a number of lodges and hotels throughout South Africa, especially in the Waterberg mountain region north of Johannesburg, the Drakensburg mountains, along the Garden Route, around Cape Town and at a number of private game reserves throughout the country. A number of horse riding safaris (or trails) where guests enjoy a multi-day wilderness experience surrounded by wildlife are also available. Ask for details.. While many lodges do offer walking as an activity it is best done as a 2 to 5 day walking trail, staying in overnight fly-camps or suitably rustic seasonal bush camps. Ask for details.. If sites of great historical interest are your thing, and you would like to learn a little more about the turbulent history of this embattled continent, we have a selection of historic locations that may interest you - the Voortrekker Monument, Robben Island, the battle grounds of the Anglo-Zulu and Anglo-Boer Wars, the Cradle of Mankind and the town of Kimberley amongst others. South Africa offers a number of luxury railway journeys including the famous Blue Train, from Pretoria to Cape Town, and the luxurious Rovos Rail with set departure itineraries that take in various parts of the country and even go as far as the Victoria Falls and Dar es Salaam. Namaqualand is popular with tourists during early springtime (Aug/Sept), when for a short period this normally arid region becomes covered with a kaleidoscope of colour during the flowering season. After the winter rainfall, Namaqualand dons her coat of many colours and for a brief moment, the wild flowers invade the countryside. Countless poems, novels, paintings and prose have been dedicated to this annual shower of God's colour. Since 1948 South Africa and Botswana have co-operated in the management of two adjacent Kalahari parks. In 1999 the first cross-border collaboration of its kind united the two parks into one under the name, Kgalagadi Transfrontier Park. This has unified the southern Kalahari into one huge conservation area, twice the size of Kruger National Park. Previously called the Kalahari Gemsbok National Park, as the animal most at home in this arid region is the gemsbok (also called oryx). This large horse-like antelope is supremely adapted to the desert environment and can go for months without water as it reabsorbs its own waste fluids and barely sweats. Its core temperature can rise far beyond that which would kill most animals, and to avoid literally boiling its brains, blood is first passed through the nostrils to cool it down. Another animal that epitomises the Kalahari is the meerkat (also called suricate). These cute mongooses scamper around in gregarious packs, foraging for scorpions, beetles, lizards and mice and scatter at the first sign of danger from an eagle or other predator. Alongside gemsbok are springbok, blue wildebeest, eland and red hartebeest with such a good food supply attracting carnivores like lion, leopard and cheetah. Other distinctive creatures of the Kalahari are small monogamous bat-eared foxes, sociable weavers who live in the feathered equivalent of an apartment block of nests, and the King of the Kalahari - the black-maned lion. South Africa, as a major regional hub for international airlines, combines well with Botswana, Namibia, Zambia, Zimbabwe and Mozambique. You could comfortably spend a week or more in Cape Town alone - there is so much to see and do in the region, from wineries to seal colonies, hiking trails and scenic drives, restaurants and shopping. Unlike many other African countries there is not really a set 'safari circuit' that links the main game viewing areas. You will access the different game reserves from their respective centres - Johannesburg, Port Elizabeth or Durban. There are 11 official languages in South Africa: Afrikaans, English, Ndebele, Northern Sotho, Southern Sotho, Swazi, Tsongo, Tswana, Venda, Xhosa and Zulu. This said, the English-speaking visitor will have no problem while travelling through the country (much like the rest of Africa). South Africa has unfortunately gained the reputation as a high crime risk destination. This is a very real concern and visitors should be aware that this remains an ongoing problem, predominately in the major cities. The real issue being that a high proportion of these crimes are violent in nature. As a visitor you should take the standard precautions of staying away from unsuitable areas, do not wander the streets at night and do not have your valuables in plain sight. Tourists present an easy target - be on your guard! South Africa is a wonderful country to visit, with many fabulous attractions to lure the visitor. The cities are modern and the infrastructure very much first world. The accommodations are unbelievably luxurious and well presented with well-trained staff to handle the most demanding guests. But - if you are truly wanting to get close to, and experience, the 'real' Africa - you will need to look north (or east). For a more traditional rural African experience or the remote, rustic charm of a typical safari camp in the wilds of Africa, you might want to consider including a visit to at least one of the less developed countries further afield.